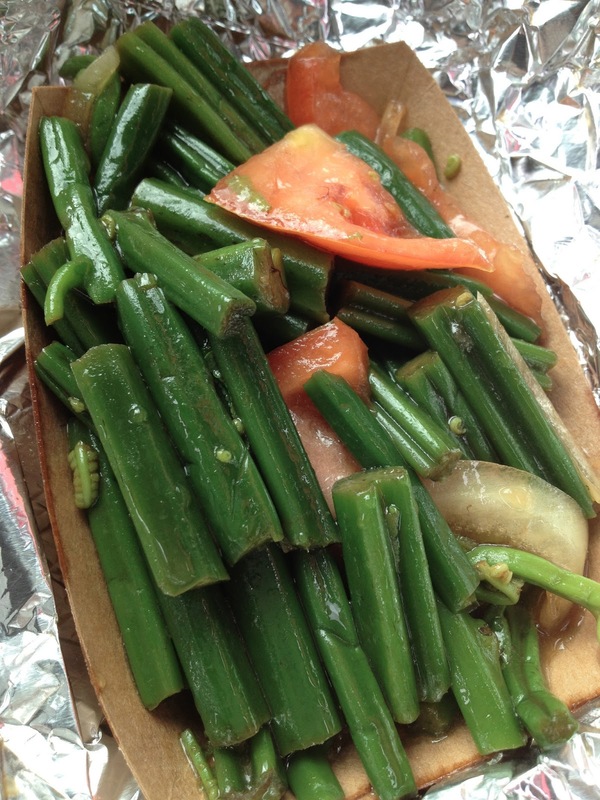 Hilo is FULL of good eats. Let me remind you of my past eats- Sombat's Thai Food, Restaurant Miwa, Kawamoto Store, and the Farmer's Market! See here and here! This year, my first stop was Kawamoto Store for some Okazu. Then I headed to Hilo Homemade Ice Cream, George's Meat Market for the thinnest and crispiest Beef Jerky, New Saigon Vietnamese Restaurant for a quick Pho dinner, and last but not least, Two Ladies Kitchen for the biggest variety of Mochi. I'd have to say it was a successful trip! Kawamoto's!! Their Chicken Tofu is my favorite. They use the softest tofu that soaks up the delicious sweet sauce. Kawamoto's is also known for their ultra-crispy tempura. 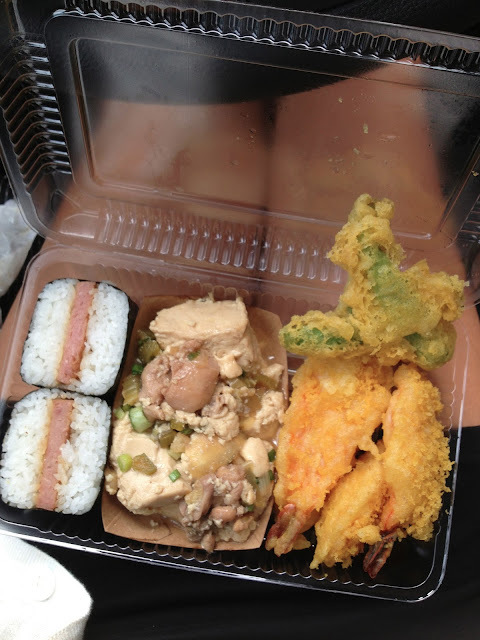 Try the shrimp tempura! Go early- they sell out fast! Hilo Homemade Ice Cream Original Shop. A little hard to find, but completely worth it. It is a little sketchy as there is a hostel right in the back, but the seating in the back is nice for a little lounging. Deliciously-colorful ice creams and sorbets! LycheeMango Sorbet and Poha Berry. The Poha Berry was deliciously creamy. My favorite there! George's Meat Market. 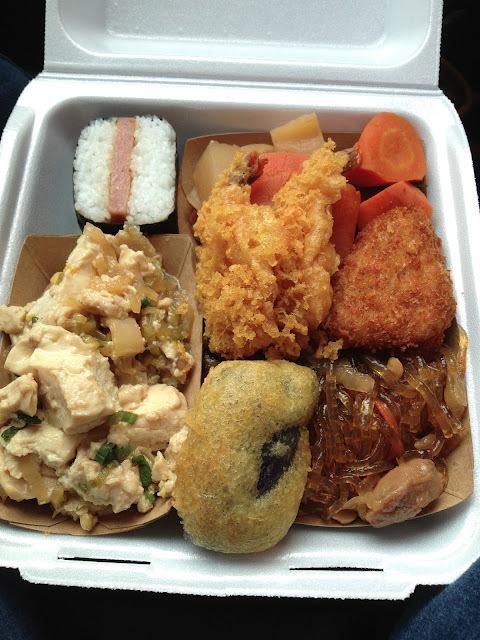 They had Butterfish and Sweet Potato Lau Lau for $8. 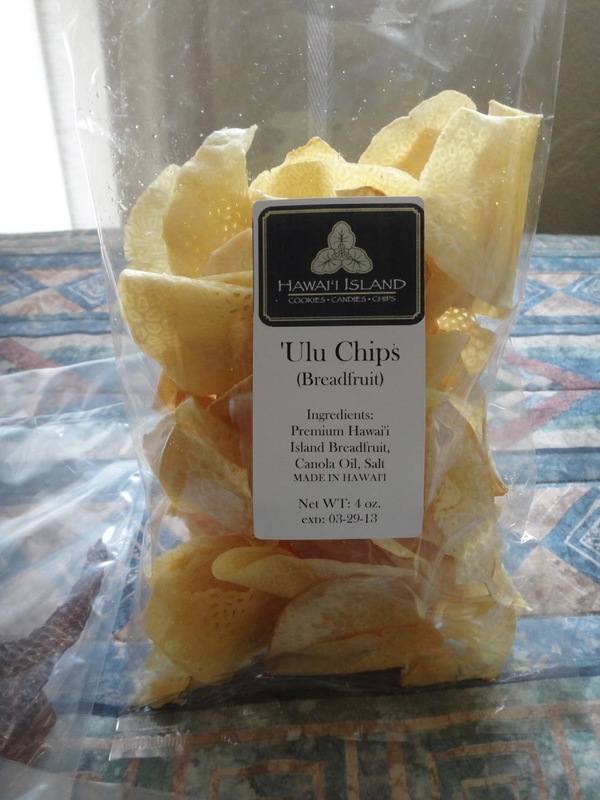 Expensive, but if I lived on Hilo, I would have to try it at least once! 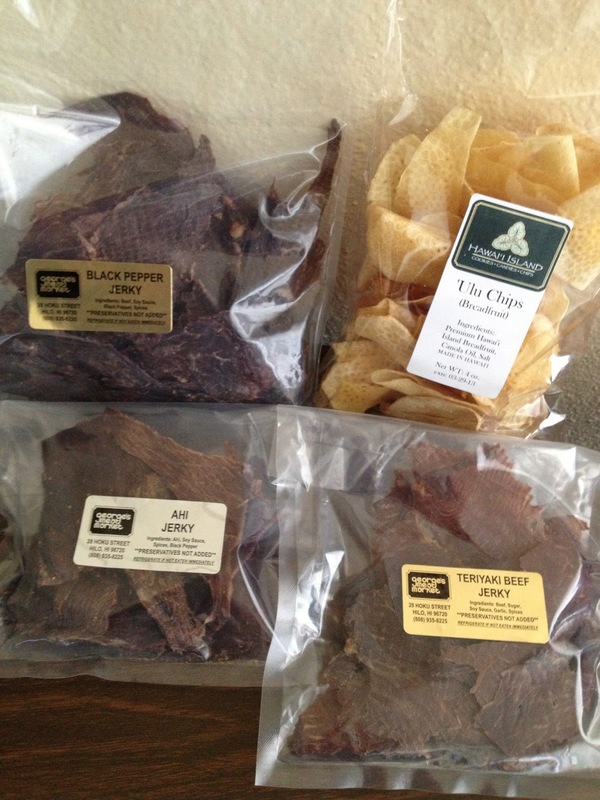 The most EXPENSIVE Jerky ever! See how thin!? These are like chips! I would definitely get these again! Worth the $6! New Saigon Vietnamese Restaurant because I was craving some Pho and Thai Iced Tea! One of the last stops before jumping back on the plane! Call in a couple days ahead to place a phone order- that way, it's guaranteed you will get exactly what you want! I ordered 6 Strawberry Mochi and 14 assorted mochi. They were nice enough to give me 2 more Strawberry Mochi. A nice surprise when I got home! There are always assorted mochi on the counter for a quick pick up! 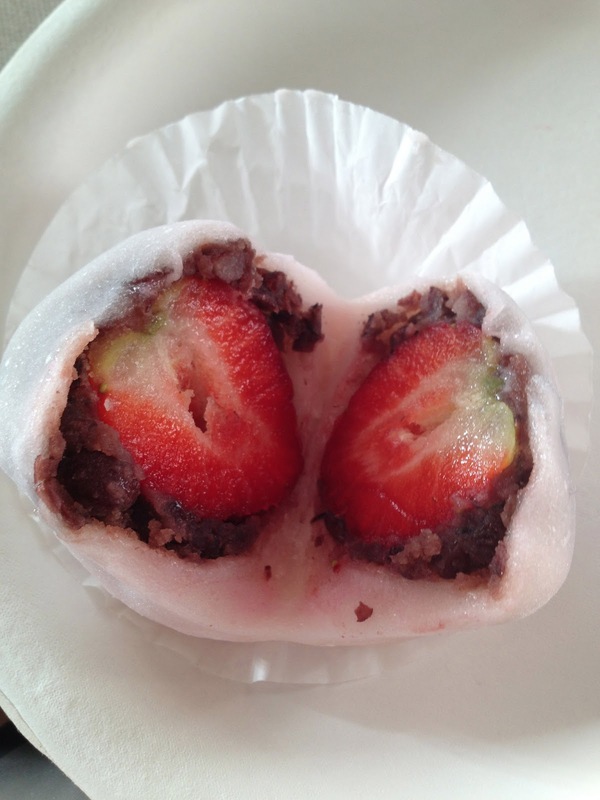 The "inside" of a Strawberry Mochi! Grape Mochi is a new "flavor" of theirs. Those are the 4 round purple mochi on the bottom left hand corner. These were my favorite!! Also included in this box was Lilikoi, Peach, Sweet Potato, Peanut Butter, Nantu, Chiso, Plum Flower, Yomogi, and Daifuku. Kawamoto Store one last time.